Drs. Dan Custis and Diana Latinow at Destination Dentistry in Custer, South Dakota believes every patient deserves a stunning smile whether it takes cosmetic dentistry, teeth whitening, or sedation dentistry. Today’s post will address the preparation needed for dental implants. Consider calling 605-673-2011 today for your own personal consultation and to receive one-on-one information specific to your needs. Ideal candidates for dental implants include patients with missing teeth, dentures, or bridges who have healthy oral tissue, adequate bone structure, and proper health for bone healing. Our patients in come from all backgrounds and have a wide range of dental problems. For many, dental implants are a terrific solution. An initial visit Destination Dentistry 141 N 5th St, Custer, South Dakota 57730 is the first step. For this evaluation be sure to bring pertinent medical information, current medication list, and questions you have about the process. Dental implants take multiple visits and the process is different for each person so be sure you understand all the critical details. If we determine that you don’t have enough bone structure at the implant site, bone grafting may be necessary. 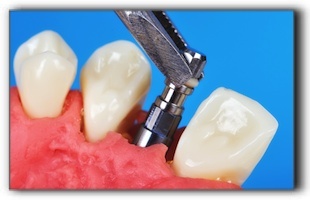 Caring for implants is not much different than caring for natural teeth. Be sure to avoid damaging, dangerous habits such as chewing hard items (ice or candy), and seek treatment for teeth grinding if it is a problem for you. See your dentist regularly. Keep the implants and gum tissue around the implants clean just as you (hopefully) do with your natural teeth. The complete process can take months from consultation to complete healing and placement of the abutment and artificial tooth. At your initial consultation, we can discuss the cost of dental implants and think about financing options. Visit https://www.destinationdentistry.net/about-destination-dentistry/ for more specifics about our practice and services including Invisalign braces, porcelain veneers, and teeth whitening.